Obituary for Dorian Vincent Rasnake | Crouch Funeral Home, P.A. Dorian Vincent Rasnake, 31 of Elkton, MD passed away peacefully in his sleep Sunday March 11 2018 at his home. Dorian was born in Newark, DE on February 20, 1987 to Kenneth and MaryAnne Rasnake. Dorian proudly served as a Communications Specialist in the U.S. Army and was best known for his infectious laugh, joking manner, compassion through actions, and big heart. He actively participated in wrestling and football while attending Rising Sun High School. He also participated in The Boy Scouts throughout childhood and into his adolescent years. Dorian was devoted husband, father, son, brother, grandson, nephew, cousin, and friend. He was a Dallas Cowboys fan and loved attending games. Dorian enjoyed attending concerts, paintball, fishing and boating, dancing, cooking, and helping friends and family. Dorian has passed his love for wrestling, active sports, and hobbies onto his son. 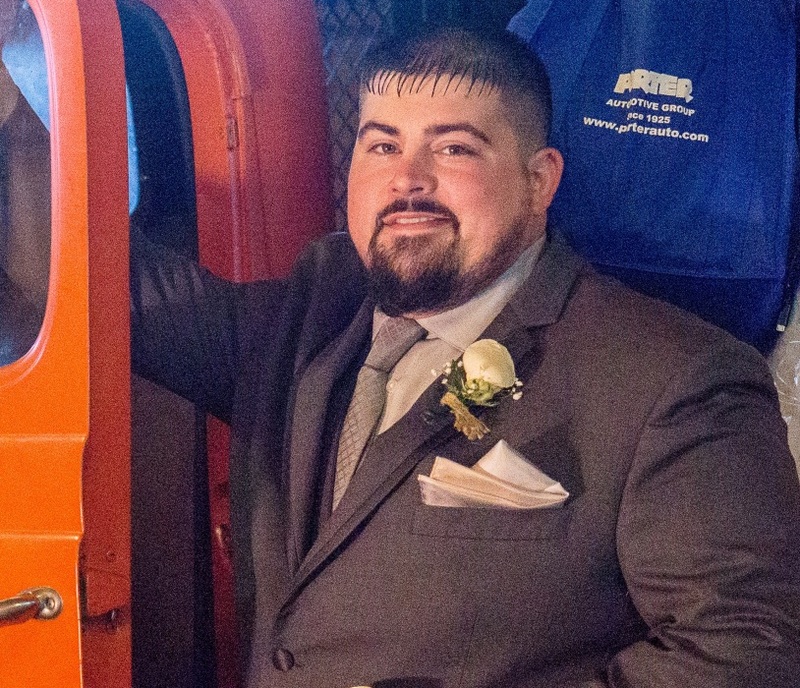 He was an HVAC Technician with City Facilities Management and was previously employed with Hollywood Casino in Perryville, MD and Elkton Homes in Elkton, MD. Dorian was survived by his wife: Melissa Rasnake and 6-year-old son: Grayson Rasnake of Elkton MD, Grandparents: Curtis and Peggy Rasnake of Charlestown MD, and Gerald Uniacke of Jennersville PA, Parents: Kenneth and MaryAnne Rasnake of Rising Sun MD, Siblings: Dana Arnold of Catonsville MD, and husband Oliver, Skye Rasnake of North East MD, and Curtis Quinn Rasnake of Rising Sun MD. Dorian was preceded in death by his grandmother: Anne Uniacke, aunt: Nancy Uniacke, and uncle: Michael Rasnake. Friends and family may call on Saturday, March 17, 2018 from 2:00pm-4:00pm and 6:00pm-8:00pm at Crouch Funeral Home, P.A., 127 South Main Street, North East, MD. A service will also be held at Crouch Funeral Home on Sunday, March 18, 2018 at 2:00pm and will be followed by a celebration of life at Charlestown Missionary Baptist Church in Charlestown MD.